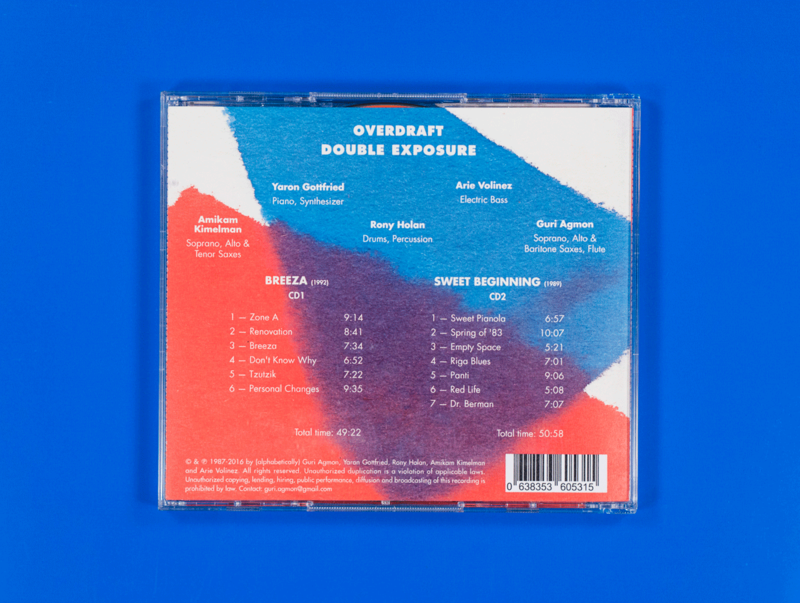 Designing the double album "Double Exposure" of the jazz supergroup "Overdraft" – Arie Volinez, Guri Agmon, Amikam Kimelman, Rony Holan and Yaron Gotfried. 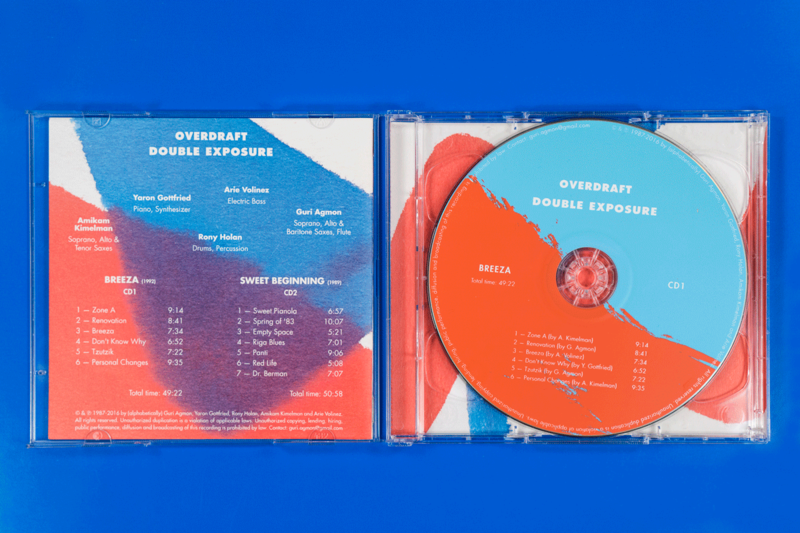 One CD is 30 years old, the other one is brand new with unreleased materials. I painted with blue and red watercolors, and after the images were created, the typography and all other components were added.